Loch Lomond Villa officially opened its doors in 1973, thanks to the vision and support of East Saint Johns Simonds Lions Club, who foresaw the need for a complete life-care centre for the areas senior population. The name Loch Lomond Villa was chosen because of its proximity to the Loch Lomond Lakes. Financial support, advice and guidance came from the provincial and federal governments. Founding members of Loch Lomond Villa, Inc.
1973: Loch Lomond Villa – 110 self-contained apartments (High Rise I), 55 studio accommodations and 131 nursing-care beds – officially opens in October. 1975: High Rise II opens, adding 136 apartments. 1978: Studio accommodations converted to nursing-care beds (bringing total number of beds to 175). 1983: Seniors Outreach Program established. 1986: Chapel, multi-purpose room and cafeteria open. 1993: High Rise III opens, adding another 28 self-contained apartments. 1993: Specialized Alzheimers Unit opens (34 beds). 1994: The Psychogeriatric Unit opened in November 1993 (34 beds). 1997: Nursing Unit renovated to include resident dining rooms. 2006-2011: Continued renovations and upgrades to High Rise I and High Rise II, including the addition of a 16-unit Supportive Housing Program (High Rise I). 2010: Recognized as a Planetree Continuing Care Affiliate (one of only two Canadian locations). 2010: Construction begins on a new 100-bed nursing home at 164 Loch Lomond Road, replacing and updating the original structure. 2012: New 100 bed state-of-the-art nursing home ("The Village") opens on the site of the old Bayview School. 2013: Renovations begin on main Villa structure; four wings of the original building close. 2014 - New three story, 90 bed state-of-the-art nursing home opens, replacing and updating the old building. 2015: Grand re-opening of newly constructed and renovated Loch Lomond Villa. Loch Lomond Villa is governed by a 10-member volunteer Board of Directors who are legally and morally responsible for the Villa, ensuring that adequate and proper care is delivered in a quality manner consistent with the needs of those being served. Cindy Donovan has long been an influential part of nursing in New Brunswick. Cindy holds a Bachelor of Nursing degree from the University of New Brunswick and a Master of Science and Health Administration degree from the University of Michigan. She has conducted and co-published various research projects in partnership with the University of New Brunswick. A Rotary Vocational Award winner, Cindy has also been awarded the Proudly UNB Award. Since assuming the leadership role at Loch Lomond Villa, Cindy has overseen a $60 million construction and renovation project and introduced the person-centered Planetree Continuing Care Philosophy. She has also been instrumental in bringing nurse practitioners into nursing homes in New Brunswick. Cindy was appointed to the Government of New Brunswicks Council on Aging in 2016, an expert committee responsible for developing an action-oriented aging strategy to respond to the challenges associated with the provinces aging population. Cindy has been an Accreditation Canada surveyor for long-term care for the past nine years. 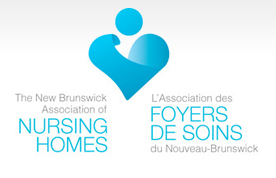 The New Brunswick Association of Nursing Homes represents 65 nursing homes across the province. Their main objectives are to promote a high standard of care and efficiency in nursing homes, to provide an opportunity for consultation and to take united action on all matters of common interest and concern to the Association. For more information visit www.nbanh.com. 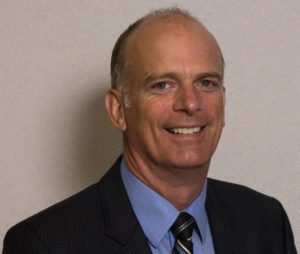 The Government of New Brunswick (Nursing Home Services, Department of Social Development) is responsible for setting policies, standards and annual budgets, as well as enforcing the Nursing Homes Act and ensuring compliance – in part by conducting unannounced inspections.